Okay, ladies. It’s time to get a little intimate here. It’s bad enough that the little monthly visitor we get results in mood swings, grumpiness, PMS and cramps. But what about what’s hiding in our tampons and pads? Our health, and the health of our daughters, may depend on the choices we make in this area. Toxins and chemicals in feminine care products are the norm. Tampons and pads are made with pesticide-laden cotton, and rayons that are bleached with cancer causing chemicals. These products often also contain artificial fragrances that contain hormone-disrupting chemicals. These products are in contact with sensitive permeable skin for longperiods of time, so it’s even more critical to think about what they contain. 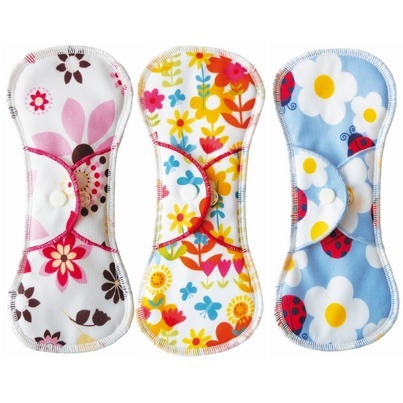 Healthy Child Healthy World posted a great article about why we should be choosing safer reusable or disposable options, such as silicone cups, washable pads, or pure unbleached organic cotton tampons and pads. They also have some great resources about healthy options for all facets of life. 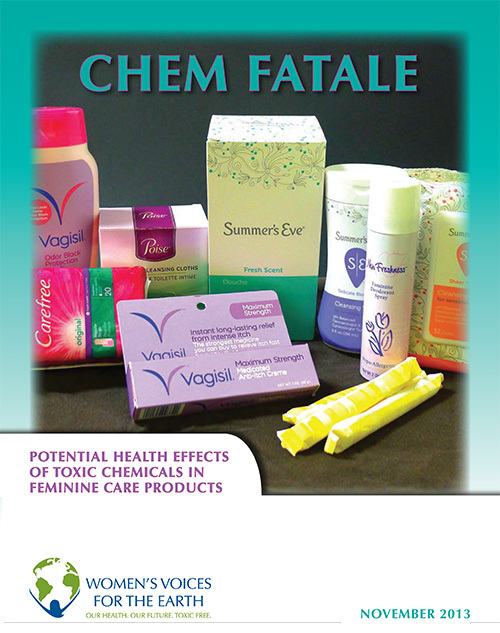 Women’s Voices for the Earth also released a report called Chem Fatale, highlighting the toxins and chemicals in all feminine care products. 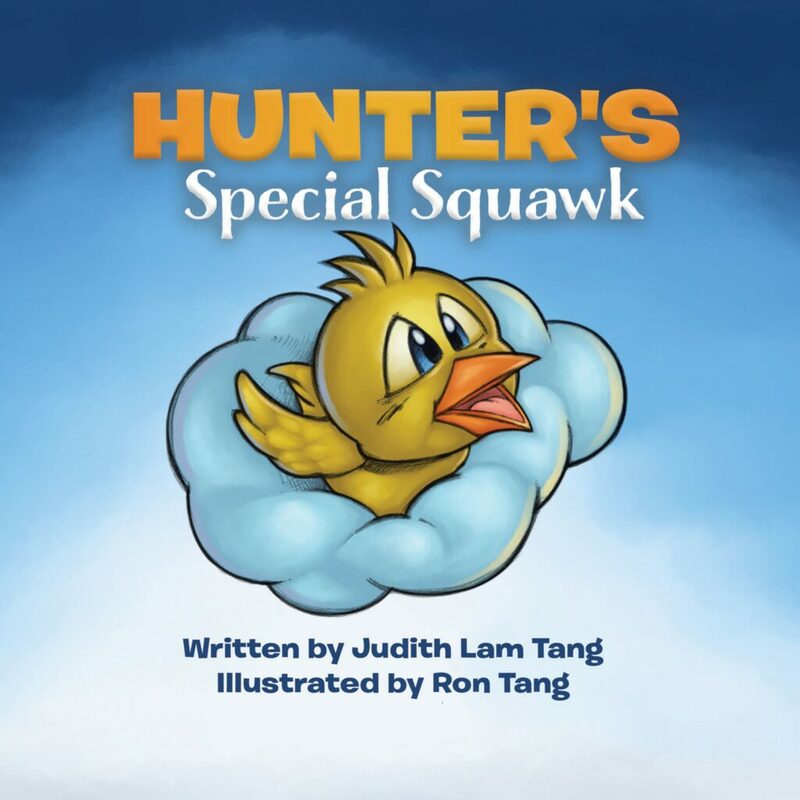 It can be downloaded here. They also have a “Hall of Shame” for products to avoid, as well as a list of concerning chemicals. Bottom Line: The information is out there! The majority of the big brand feminine care products are full of stuff we don’t want getting into our bodies. Now it’s up to us to make educated decisions for what we will purchase for ourselves and our daughters. Vote with your wallet. 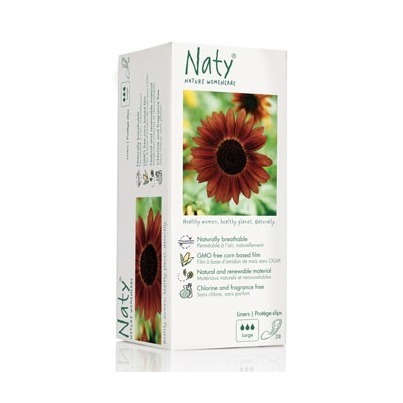 What non toxic and green feminine care products do you love? That’s fantastic, Katie! I know that it can be hard for some women to wrap their head around using something like a cup instead of the traditional methods!